Magical experience of seamlessly connecting your devices. Samsung Flow allows you to securely log into your computer thanks to Windows Hello. 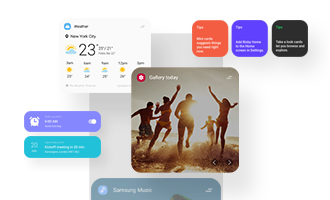 Share the phone screen on PC by Samsung Flow ‘Smart View’. You can check your notifications from smartphone on Tablet/PC and reply to messages directly. * Direct reply may not be available in some Instant Message apps. Easily enable your Mobile Hotspot. Pairing Android tablet and phone does not need this step. Please agree to ‘Use your smartphone info connected to your Tablet/PC’. 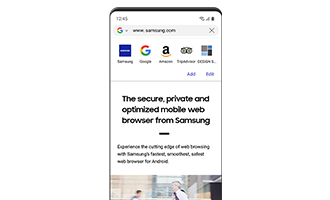 You can use Samsung Flow features (Mobile Hotspot, Notification sync, Handover, etc) of your smartphone connected to Tablet/PC by unlocking the screens through the Watch. * Android tablets do not support unlock authentication. If Tablet/PC is sleep mode, wake up Tablet/PC first by any key input. Only Samsung Tablet/PC support tablet biometrics authentication. Android tablets do not support unlock authentication. Android tablets do not support the Smart View feature. you can easily change the resolution, turn your smartphone screen on/off, add favorites, etc. Some applications does not support share feature. You may do handover before the phone verification. transfers the contents, and turns on Hotspot automatically. If your Tablet/PC has Data connectivity, the Pop-up will not be shown. * It may not be supported by some models, depending on the smartphone specifications. * Actual user interface subject to change without prior notice. * Register and manage up to two Tablets/PCs on Samsung Flow 3.0. Please update Samsung Flow to the latest version.